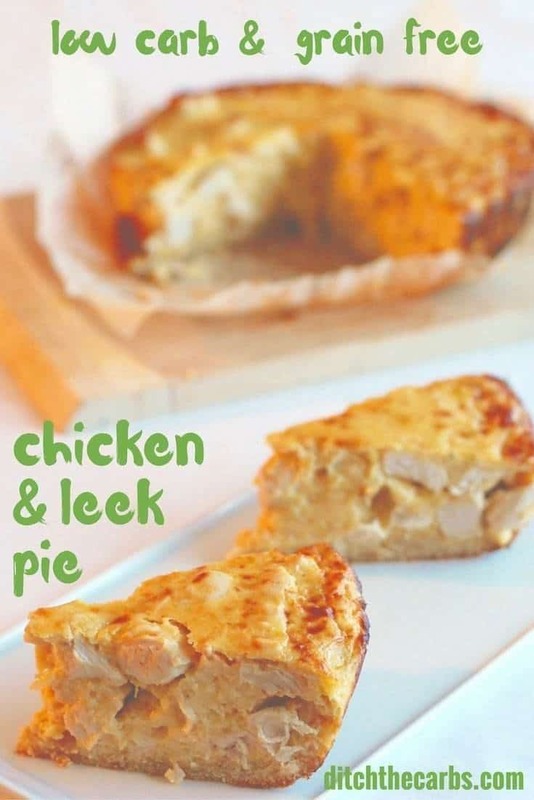 Low carb chicken and leek pie - with a grain free crust !!! If you want a real winter warmer for the family, this low carb chicken and leek pie is an absolute must. Super simple to prepare and super sturdy. I used to make chicken and leek pie before we went low carb, and I was determined to remake my old recipe. Just by changing the crust to a grain free crust and substituting a few ingredients in the pie filling, means this is even more tasty than the original. I was super pleased how it turned out and even though it made a huge pie, there were ZERO leftovers, my children ate the lot! If you do happen to make this and have any leftovers, please let me know if it freezes well, I would expect it would. Unfortunately there is never any low carb chicken and leek pie leftovers in this household. TOP TIP :: You must use full fat original cream cheese. All the varieties which are low fat or spreadable won’t set. This goes for pies, cheesecakes and all my recipes. 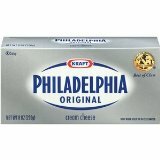 The cream cheese needs to be solid, firm and full fat (see below for what I use). 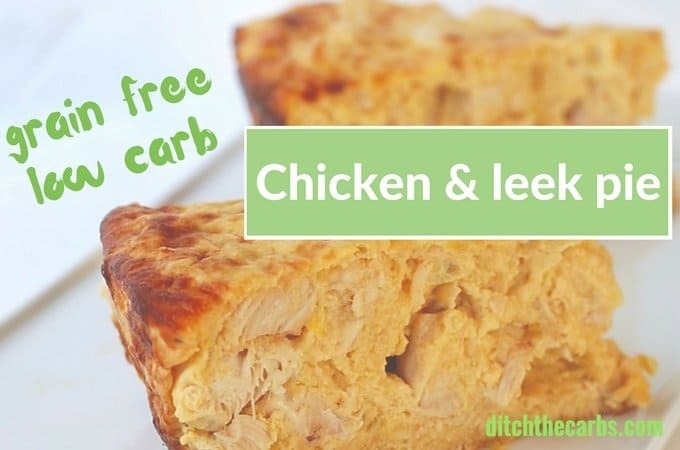 Low-carb chicken and lek pie is one of those family meals that everyone will enjoy. The pie is sturdy, tasty and quick and easy to make. Stir together the melted butter, almond flour/meal and salt. Now add the egg, psyllium husk and coconut flour, mix again until it forms a dough. Either roll between two sheets of baking parchment, or simply press into a greased and lined pie dish with deep sides or casserole dish. Bake at 180C/160C fan or 350F oven for 10 minutes or until just cooked and starting to brown. Remove from the oven. Melt the butter in a large saucepan. Add the sliced leeks and gently cook for 5 minutes, stirring occasionally, until they are wilted and cooked. Remove from the heat and place the leeks in a heatproof small bowl. Try to keep as much of the butter in the saucepan as you can. Using the same saucepan with the butter, now add the diced/cubed chicken and place back on the stove top. Heat and stir until the chicken is completely cooked through to the centre of each piece. Lower the heat and add the full fat cream cheese to the saucepan with the chicken. Stir until the cream cheese melts. Cook for a further 3-5 minutes very gently so the cream cheese thickens and creates it's own sauce. Turn the heat off. Stir through the cooked leeks, grated/shredded cheese, salt and pepper. Mix. Add the eggs. Mix again. Pour the low carb chicken and leek pie filling onto the cooked pie crust. Bake at 180C/ 160C fan/ 350F for 20 minutes or until golden on top. Made this tonight. Everyone loved it. My fussy 9 year old thought the “pastry” was good, but not by itself. I call that glowing praise from him. I ended up with enough filling for a second pie (so I just made more pastry!) great recipe thank you! Brilliant! I serve the leftovers in my kids lunch boxes. It’s sturdy enough to survive the trip to school in their school bag! I made this with no changes to your recipe and it was soooo soooo good. Thanks Libby. 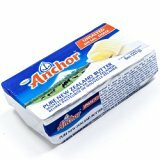 You mentioned full fat cream cheese, my daughter has to have lactofree cream cheese, is this still suitable for the recipe? Just made and ate this for dinner tonight. Gets a big thumbs up from us! I only had half the amount of cream cheese so put in some thickened cream. Only used two eggs as, like others, didn’t want any egg taste. Worked perfectly. Found it was easier to just press the pasty into the pie dish. I tried rolling it out but it fell apart on trying to line the dish. No big deal to just press it in. Next time I’ll make it as per the recipe and do a comparison. Thanks for the recipe Libby. I have already made this twice and we love it! Great for lunches – one of my husband’s favourites. Thanks! In this recipe you could probably omit it, it just makes it hold together really well. Add a few more tablespoons of almond meal/flour until it is pastry texture. Made this today. Adjusted by using rotisserie chicken and estimated the amount. Excited to eat this as I love both chicken and leeks. What is the carb count (as is) per serving.. I envision using this recipe to clean out the fridge of leftover bits of meats and veggies. This pie is very impressive! I used to make chicken and leek pie all the time and this one tastes just as good, if not better than the high carb version I made. I didn’t miss the lack of pastry at all (mine used to be encased in puff pastry) and what I really love about this recipe is it doesn’t rely too heavily on the eggs. A lot of low carb pie recipes I’ve tried taste more like an egg pie than anything else but this one the eggs just help bind everything together and don’t overpower the pie filling. Brilliant recipe! Hey Libby, I’ve problems with dairy. Any suggestions for ingredient replacements for the cream cheese & cheese? Gosh that would be difficult in this recipe. Can you tolerate hard cheeses that have very little carbs and hence less lactose which is what most people have a problem with who can’t tolerate dairy? I have also heard there is a dairy free cream cheese, although I have never seen it here in NZ. This was really tasty, easy and fairly forgiving. I didn’t quite have the right amounts of some ingredients, even after halving the filling, I fudged some measurements etc but it still turned out yummy. Plan to make again. I also think it tastes slightly better after a night in the fridge but maybe that’s just me. I agree, often meals a day old in the fridge are simply amazing. I’m sure the flavours blend in fully. I’m so glad it turned out brilliantly (with a little fudging, sounds like my kind of cooking). Love this recipe…I have just made it for the second time (this time with leftover BBQ chicken) and it’s currently cooking in the oven…I’m already salivating! Just one quick question, the recipe states psyllium husk but your pictured product is psyllium husk powder so just wondering what you used? I used the husk, not the powder and the pastry was great but maybe it would be better with the powder? I’m never quite sure of the difference, we can only get psyllium husk in a powder form but you can see the flakes also. I’m sure anything will do. The psyllium swells up and absorbs the liquid to give a nice sturdy texture so I’m guessing both would work. Is there something I could substitute the psyllium with? You could possibly even omit the psyllium. I use it to make a sturdy pie crust so if it is not included it may not hold as well, but it would taste just fine. Absolutely delicious!! Thanks for the recipe!! This looks delicious! Great idea for a healthy dinner! I made this last night for dinner but used left over BBQ chicken. Fabulous! Miss 13 didn’t like the base though. Thanks for the recipe. Is this suitable for feezing?? YesI think it would freeze well in an airtight container. I think i’m gonna turnthis into a quiche lorainne! Instead of chicken with ham, leek and lots of grated cheese! What a wonderful idea. I love and encourage readers to adapt and change my recipes, thank you form New Zealand.